Our organization is offering a wide range of Self Starters, which is available in diverse specifications such as teeth, clockwise movement, length, and voltage usage. These self starters are powered by the vehicle battery and rotate the crankshaft effectively before the engine is started. These are renowned for easy installation and high performance. We are deal in this Tractor Self Starter. 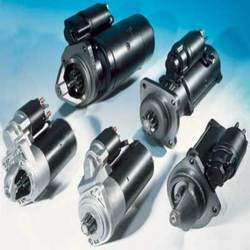 We are a renowned name in exporting best quality Automotive Starter. These are available at affordable rates in various brands. Very well acclaimed for its eminently long and efficient serving life, our company has been duly engrossed in offering an impeccable and robust series of Starter Armature Alternator Stamping. Brand: Delco Remy Tvs Lucus, Panalfa, Auto Luk. Delco Remy , Tvs Lucas, Bosch, Panalfa, Auto luk. We are the Leading Manufacturer and Supplier of Self Starter in Chennai, Tamilnadu, India.These products has various capacities and of both permanent magnet and series wound field type starters. 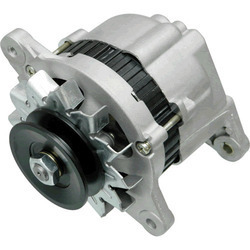 The starter can be supplied with over running clutch and pinion. Our Minimum Order Quantity(MOQ) is 10 Nos. Supported ourselves with capable executives, we are readily occupied in the realm of presenting an outstanding quality of Alternator Starters. Owing to our rich industry experience, we are able to offer Indigo Self Starter. We offer Automotive Starters with time delay (Voltage Sensing)-Saves Time And Manpower. Fostered with enormous business understanding of this realm, we are involved in presenting a broad consignment of Automotive Starters. We are offering a wide range of Lucas Self Starter.